Immaculate Conception’s “Rams Pride” is evident in our excellent academic programs, positive school-business partnerships, and generations of families who continue to take an active role in our schools and community. However, the key source of our “Rams Pride” is the school’s students and alumni! It is the responsibility of IC alumni to show the current students what life holds for them, what’s available to them, and to get the message across that this community is the springboard for your life. When you come back, we’ll always be here for you. Once you’re an alumnus from IC you’re part of the IC family for life. With regards to the future, alumni play a large role in ensuring the success of IC for generations to come. 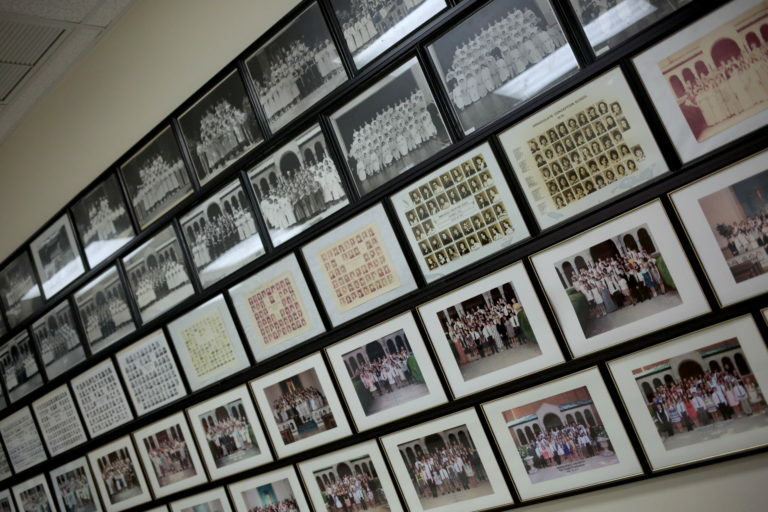 We invite you to keep connected to former IC classmates and the Immaculate Conception School community no matter how close or far you may be from Clintonville. Here is where you can learn more about IC activities and events. Say to them: Thus says the LORD of hosts, Return to me and I will return to you, says the LORD of hosts.